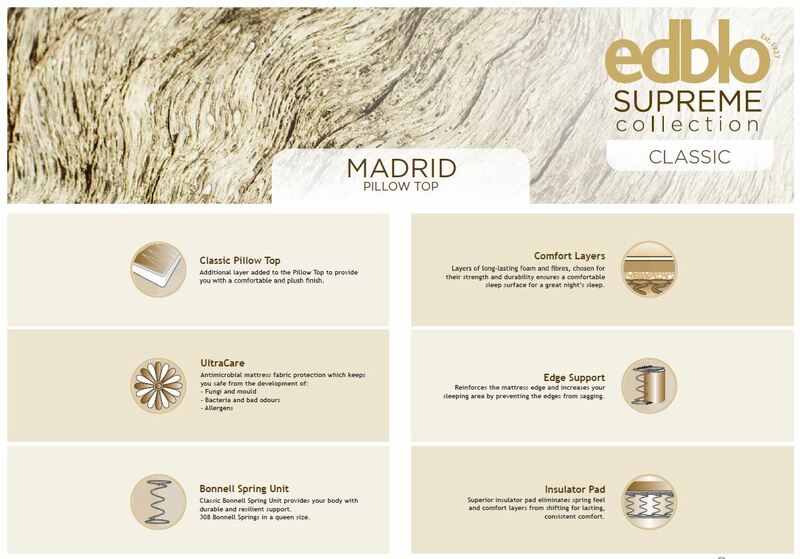 The Edblo Madrid Pillow Top provides a durable, yet plush support for a comfortable sleep. 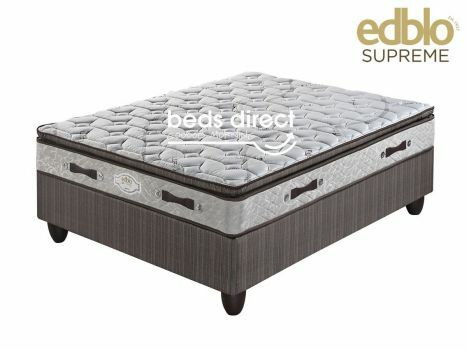 Additional layers are added to Edblo's Classic Pillow Top to provide you with a comfortable and plush finish. 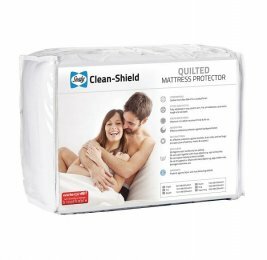 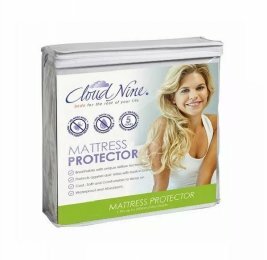 Comfort layers of long-lasting foam and fibres, chosen for their strength and durability ensures a comfortable sleep surface for a great night's sleep.